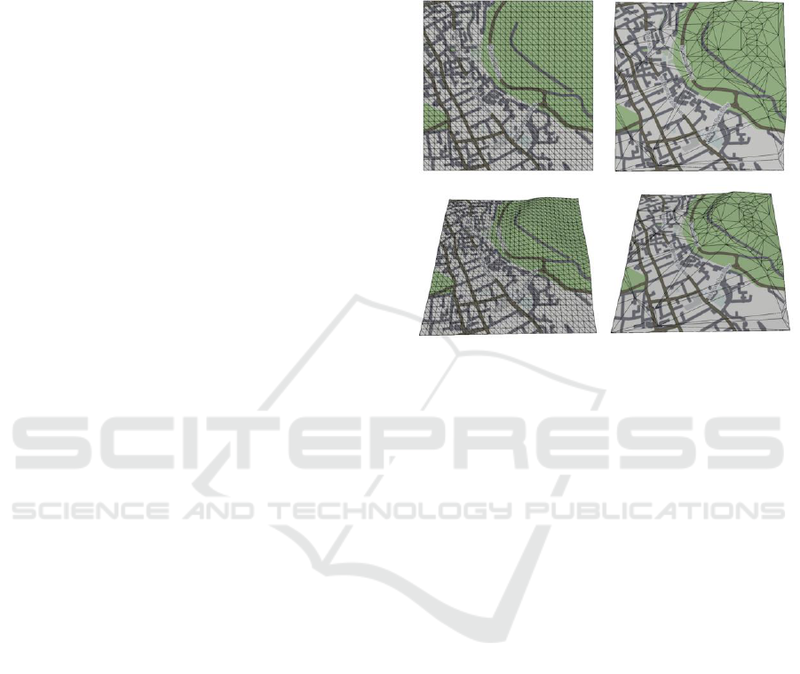 Keywords: OpenStreetMaps, Procedural Mesh Generation, World Generation, Virtual Worlds, GIS. allows the creation of many diverse applications. 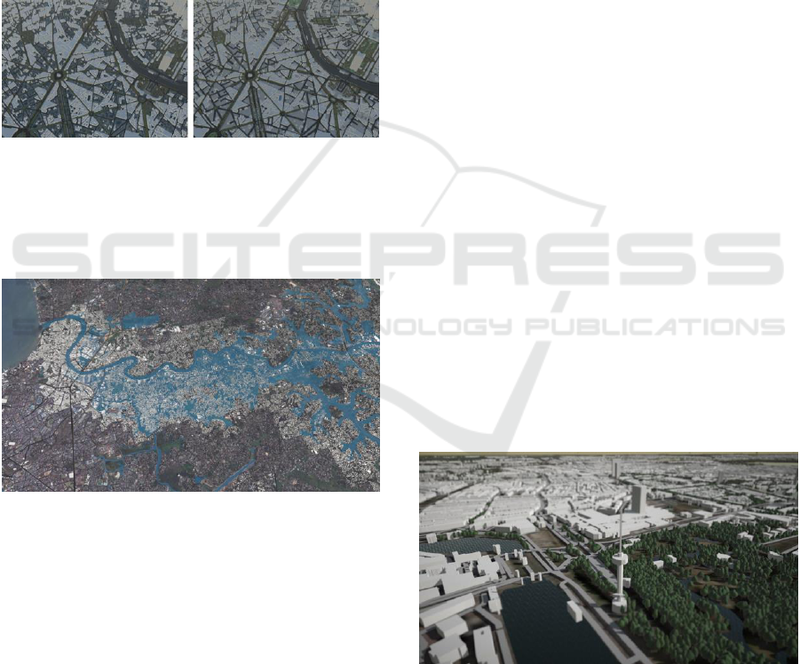 Open Data Sources for 3D Data Visualisation - Generating 3D Worlds based on OpenStreetMaps Data. order to generate the 3D worlds. 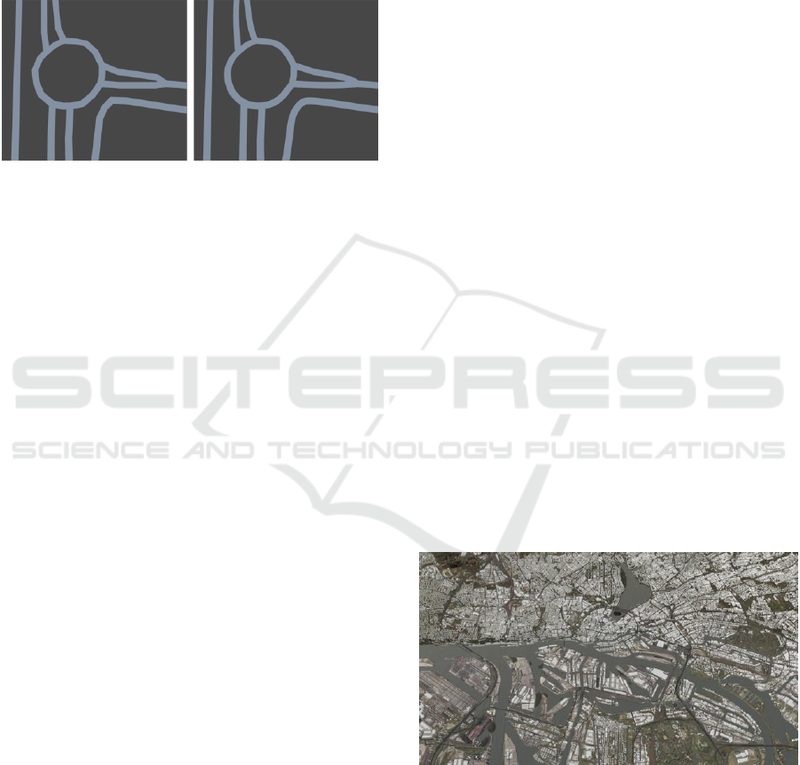 There are many tools that can operate on OSM files. the Well Known Binary (WKB) format. are accounted for quickly in the database. incomplete (Figure 2) or mapped incorrectly. 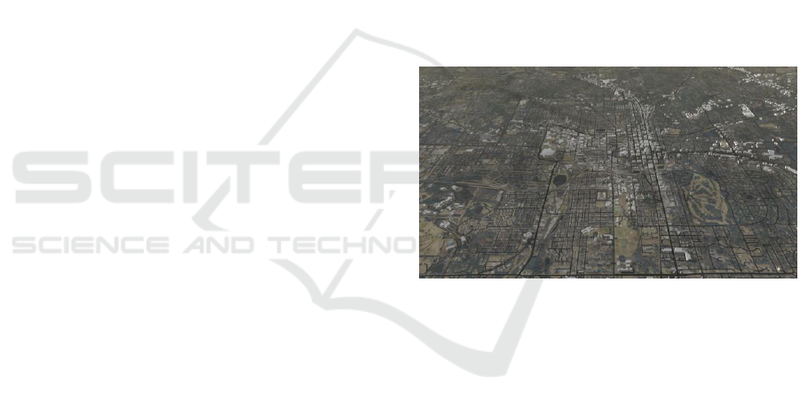 Figure 2: A city which is incompletely mapped. as possible in one single mesh object. square geometry with a variable number of vertices. size of a single OSM tile. neighbours, y-1 or y+1 for vertical neighbours). Figure 3: An unoptimised (left) and optimized (right) tile. boundaries will always be kept the same, however. vertices) is used for this. count where detail is needed. Terrain textures are generated using Maperitive. the visual representation of elements on the map. DXT1 which is common for use in game engines. different times of photography or cloud cover. different kinds of data (Figure 5). build a collision mesh for the generated terrain tiles. such that they do not float above the terrain. objects should match with the terrain. that composes the outline of the building. parts can be stacked on top of each other (Figure 6). Figure 6: Euromast tower in Rotterdam, the Netherlands. height of 6 meters is used. the calculated height or a fixed default height value. for each inner or outer edge. information to generate a 3D model. (natural=tree) or a row of trees (natural=tree_row). found, skip tree and continue. not generate thousands of trees. 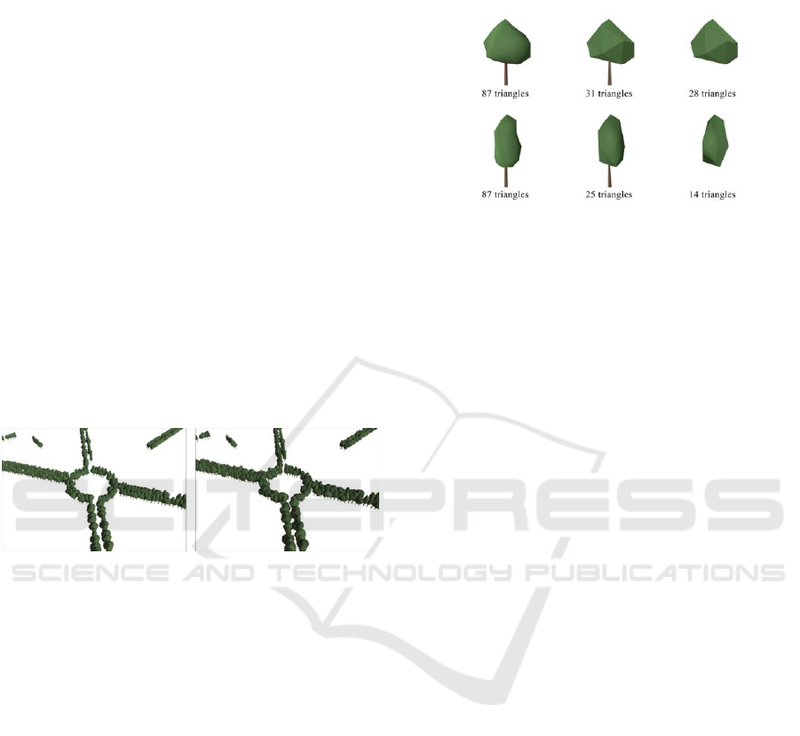 Figure 7: Trees without variation (left) and with (right). based upon the base tree (Figure 8). Figure 8: Two types of trees and their three LOD levels. and do not add significant detail to the virtual world. They might be visible on the ground layer tiles. The default width of the roads is 5 meters. sections are drawn straight from point to point. more realistic representation of the roads (Figure 9). gives these surfaces more water-like dynamics. commonly use textures for velocities of the water. virtual world based upon OSM data (Figure 10). generating polygons of water surfaces. times at the start of the virtual environment. 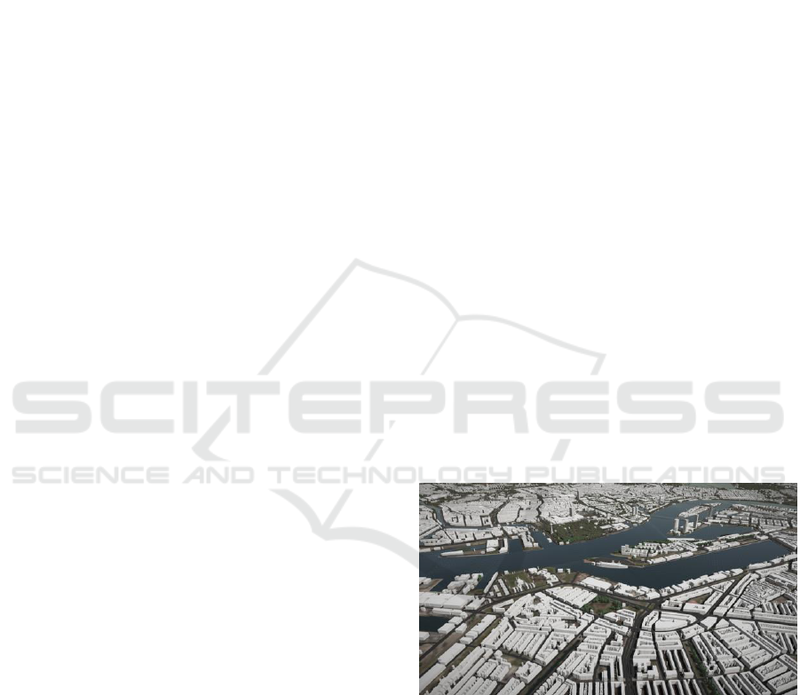 Figure 10: Visualisation of Hamburg, Germany. GB/Default.aspx (Accessed 17 Oct. 2016). http://demo.f4map.com/ (Accessed 18 Oct. 2016). Approximation of Terrains and Height Fields. https://hotosm.org/projects (Accessed 17 Oct. 2016). mapper.org (Accessed 17 Oct. 2016). at: http://osm2world.org/ (Accessed 17 Oct. 2016). mapdata.com/data/coast (Accessed 17 Oct. 2016). OSMBuildings/ (Accessed 17 Oct. 2016). http://maperitive.net/ (Accessed 18 Oct. 2016). tools/index (Accessed 20 Oct. 2016). https://unity3d.com/ (Accessed 20 Oct. 2016]. OpenStreetMap Wiki. Available at: http://wiki.